What is GLO Science Professional Teeth Whitening? GLO Science Professional is the latest innovation in whitening technology.It offers a dual whitening experience, providing an in-office whitening procedure plus and easy-to-use, award winning, at home device for maintenance. 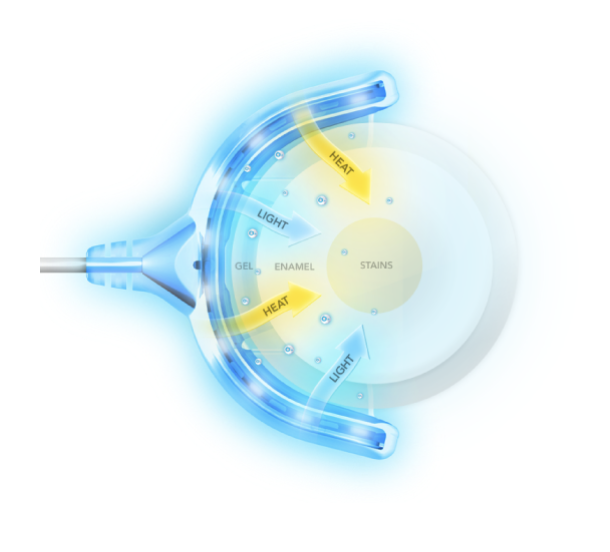 The GLO Device mouthpiece technology combines light plus heat in a closed system activating the whitening gel while preventing oxygen from escaping the tooth surface. This giving you fast, efficient, long lasting results. With the GLO Science technology, in-office treatment appointments are usually just 60 minutes and maintenance treatments at home are just 32 minutes! In-Office Whitening with the GLO Science Professional Device – On average, the in-office procedure whitens 5 shades with minimal sensitivity. The in-office treatment is fast, easy, and comfortable. 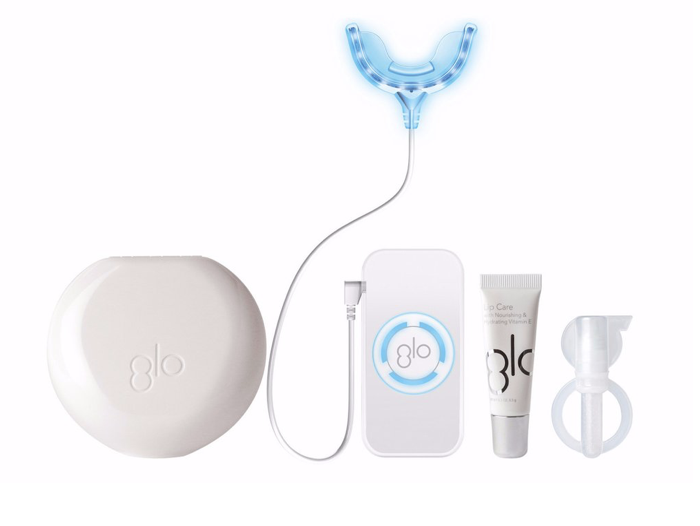 Afterwards, patients take the GLO device with them for at-home maintenance plus 10 vials of maintenance gel! Take Home GLO Science Professional Device – Enjoy the use of the GLO Science Technology and mouthpiece at home. Just 32 minutes per day for 10 days for a whiter smile. GLO Pro To Go – Convenient Whitening Vials for on the go use. Just brush on and GO.